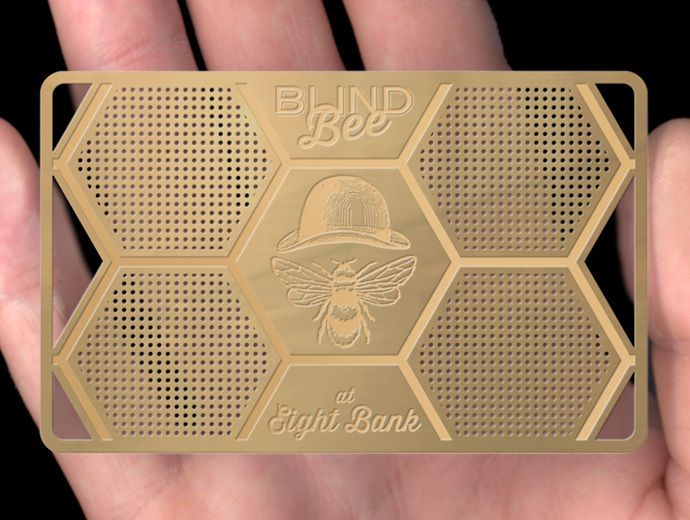 Our gold metal cards are produced using polished, rolled bronze. The card has a degree of memory, allowing it to spring back to shape when lightly flexed. Moreover, because we apply a protective oleophobic coating, everyday use will not cause it to tarnish or corrode.